The Bank of Zambia (BoZ), is the central bank of Zambia. According to its website, the principal responsibility of the bank is to create and implement monetary policy that will maintain the economic stability of the country. The Bank is active in promoting financial inclusion policy and is a leading member of the Alliance for Financial Inclusion. It is also one of the original 17 regulatory institutions to make specific national commitments to financial inclusion under the Maya Declaration, during the Global Policy Forum, held in Riviera Maya, Mexico in 2011. The Bank of Zambia has origins in the 1938 formation of the Southern Rhodesia Currency Board, which was based in Harare, in present-day Zimbabwe. 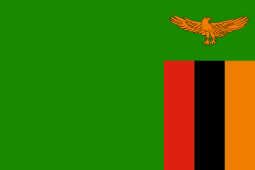 The Board's jurisdiction included Northern Rhodesia, now called Zambia and Nyasaland, known as Malawi today. In 1954 the Southern Rhodesia Currency Board was renamed the Currency Board of Rhodesia and Nyasaland, and as the winds of change were strong in Africa at the time, the currency board was transformed into the Bank of Rhodesia and Nyasaland in 1956. In 1964 the Bank of Zambia was created from the Bank of Northern Rhodesia, which itself had only formed a year earlier in 1963 from the Lusaka branch of the Rhodesia and Nyasaland bank. After its creation, and after the passage of the Bank of Zambia Act in 1965, the bank grew and was successful down through the decades. According to its website, the bank acquired an equity stake in the Development Bank of Zambia and the Zambia National Commercial Bank and was even considering diversifying into the agricultural sector. In 1991, the Movement for Multiparty Democracy (MMD) came to power in Zambia, replacing the United National Independence Party (UNIP) which had ruled for 27 years. The new government's fiscal priorities included liberalization and privatization, which included the Zambian copper industry and Zambian Consolidated Copper Mines (ZCCM), the big company that controlled copper production in Zambia. ↑ "Zambia Central Bank Chief Replaced as President Vows Lower Rates". Bloomberg. 13 February 2015. Retrieved 8 July 2015. ↑ Alliance, for Financial Inclusion (30 September 2011). "Maya Declaration Urges Financial Inclusion for World's Unbanked Populations". PR Newswire. Retrieved 20 April 2014. This article is issued from Wikipedia - version of the 7/8/2015. The text is available under the Creative Commons Attribution/Share Alike but additional terms may apply for the media files.